At approximately 2:30 p.m. yesterday, November 28, 2018, Sheriff’s deputies responded to area of Giovanni’s Pizza on Clark Avenue in Orcutt to check the welfare of a subject passed out in a car with the engine running. It was reported the subject appeared to be under the influence of an unknown substance and was slumped over the center console of the vehicle. When deputies arrived, the subject had left the area and was seen driving west on Clark Avenue. Deputies located the vehicle and conducted a traffic stop to check the driver’s welfare. The driver, identified as 43-year-old Gary McCluer of Lompoc, was found to be under the influence of a controlled substance. A records check revealed McCluer had multiple warrants for his arrest. Deputies searched the vehicle and located drug paraphernalia, heroin, and multiple prescription medications. The vehicle McCluer was driving had license plates assigned to an unrelated vehicle, along wit h stolen registration tags from a third vehicle. McCluer was on the Santa Barbara County Sheriff’s Most Wanted list. He has been wanted since September of this year for Identity Theft, Forgery, Obstructing or Resisting an Executive Officer, and Probation Violation charges. McCluer was arrested on his outstanding warrants, as well as several new charges. 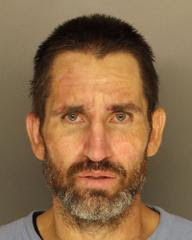 He is being held at the Santa Barbara County Jail on $25,000 bail. The Sheriff’s Office wants to take this opportunity to thank the concerned community members who reported the suspicious activity right away which resulted in getting an impaired driver off the road quickly therefore potentially saving lives. Passed out then driving? Wow!